If you were planning on making any kind of purchase involving your home wireless network, holy moly is today the day to do it. 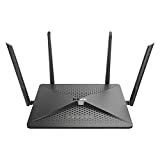 Amazon is running a truly massive one-day Gold Box sale on all sorts of gear from mesh wireless systems and Wi-Fi routers to Wi-Fi range extenders and Ethernet switches. And when we say that the sale is “massive,” we definitely mean it — there are dozens of deals available. Amazon has even thrown in a deal killer deals on microSD cards, like a Samsung 64GB microSD card for just $9.99. Why? Well, why not!? You can shop the entire sale right here on Amazon’s website, and be sure to check out 10 of our favorite deals below.